Every woman fancies and dreams about her wedding day. It is a majestic day where she feels very beautiful, elegant and most especially, loved. Women dream of this day ever since she’s a little girl thinking what would her wedding day look like. And when the time is right and the big day is finally happening, she usually does everything to make it look perfect and beautiful. One of the most important wedding details besides the wedding gown that a bride usually spends time, money and effort on are the flowers to be used on this special day. She makes sure to pick the right type of flower that will make the place, the event and even her to be more beautiful and special. Some bride even order imported flowers to ensure that everything is special for her wedding. If you are in Australia and is still at the planning stage of your wedding, you can visit Fresh Flowers for flower delivery in Melbourne to have a variety of flower choices. You can also check out other flower stores to see which type of flower suits your theme best. Put some in the house – how lovely it is to see beautiful flowers in your room, in the dining room or in the living room. 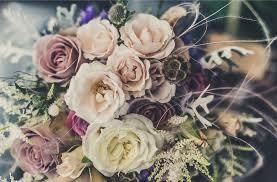 You should instruct the people in-charge of the wedding to pack the flowers to be delivered to your house. Put it in a vase with water and let it freshen up the atmosphere. Newlywed couples usually organise brunch or lunch meeting with friends and family so having beautiful flowers in the table is surely perfect. Send to your office – you may also send some flowers in the office. Put a smile in each of your officemate’s faces when they see flowers on each of their table. Send some to your friends and family members – along with your Thank You notes and letters, send some beautiful roses or any kind of flowers you used as decorations in your wedding ceremony and reception to people you specifically want to express your gratitude to for attending this special day in your life. Donate – another way to recycle the flowers after the wedding is by donating some of it. You can send some flowers in the orphanage, nursing homes, hospitals and others. They will surely appreciate to see such beautiful and fragrant flowers. A nice looking flower can make anybody’s day more beautiful and pleasant. Ask for takers – lastly, you can ask for some takers. You may have guests who want to take home some of the flowers so kindly ask and then have it delivered at their homes or if they wish to bring it with them then let them do so. You do not just wait for the flowers to wither on its own without putting them to good use. They are too beautiful to waste. Share it with people you care and love. Share the happiness you feel every time you see fresh beautiful flowers.